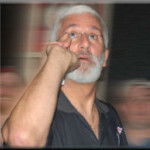 Column #390 Dr. Patrick Chaplin has written the Bible of darts history! 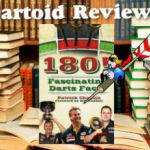 Dr. Patrick Chaplin has written the Bible of darts history! 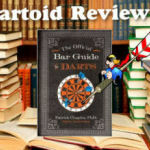 It should come as no surprise that Patrick Chaplin’s more than decade-long research earned him the first and only Ph.D. “in darts” from Anglia Ruskin University, Cambridge in 2006 – and darts enthusiasts everywhere are in for an indulgence now that a popular treatment of Chaplin’s dissertation is available on the market. 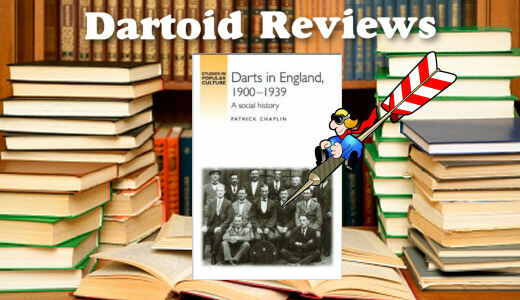 Chaplin’s dissertation-turned-treatise, Darts in England, 1900-1939 – A Social History (Manchester University Press, 2009), is meticulously researched and precise to a degree unprecedented among the efforts of those who have previously attempted to chronicle the history of the sport of darts and his academic attention to detail instills confidence in his findings. Should one, for example, have any doubt that darts originated in FRANCE, as wild and unlikely (and blasphemous) as this may seem, one need only consider Chaplin’s extensive set of notes and bibliography. Included are 77 pages, comprising nearly 30% of the 258 pages between the covers. By comparison, Dan Peek cited just five pages of references in his often maligned “history” of darts in America, To the Point. 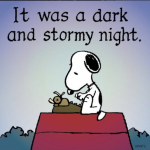 Of course, it should also come as no surprise that Chaplin’s hardback effort is unlikely to become a best seller or be snapped up for the big screen. Priced as it is at roughly $80 (almost enough to fill up a two-gallon gas can) the masses will most likely wait for the paperback version. If you are one of these people I encourage you to contact the publisher at Manchester University Press. 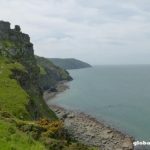 Just explain that you really want to purchase the book but to keep peace at home you must pinch pennies to afford to mow the lawn – ask them to publish a paperback version. The hold up with the Darts in England movie is finding an actor old enough to play Olly Croft. While debunking numerous theories proffered by other authors as to the origins of the game (such as that darts was a recreational activity among soldiers during the Middle Ages – throwing broken arrows at the felled end of a tree), Chaplin traces the true origins of the game to an occasionally played children’s game to a fairground attraction and, eventually, to the pub. Chaplin chronicles the development of the game of darts – the influence of the mass media, the breweries that introduced darts into public houses to counter the temperance movement and compete with the growing popularity of other leisure activities (such as football, dancing, and the cinema), the early manufacturers, the founding of the National Darts Association and the standardization of the game’s equipment and rules, and the News of the World tournament – to the sport we know today (or at least as of 1939). In Chapter 7, my favorite, Chaplin recalls the exploits of some of the early greats of the game, the unknown and unsung local heroes who helped ignite widespread enthusiasm and launch the first legitimate darts craze in the 1930s. In this chapter Chaplin also recounts the day in December 1937 when King George VI and Queen Elizabeth found themselves involved in an impromptu game in Slough. The King and Queen were touring the Slough Social Centre where in the games room a number of activities were in progress – billiards, table tennis, and darts. Unexpectedly, the Queen asked one of the darts players if she could try. The Queen threw first, scoring a single seven, a single thirteen, and a single one, a total of twenty-one points. The King then took the darts and scored nineteen points, announcing that the Queen had won by two points. Chaplin then relates how this brief but prominent moment in time profoundly impacted the spread of the game across social classes and attracted the first influx of women to what previously was the near exclusive domain of the men. Chaplin explores the impact of gambling and drinking on the early days of the game and reviews in detail the well known Annakin court case in 1908, correcting many previous authors’ overstatements as to the historical significant of the case. While the result did establish darts as an exercise in skill not luck, hence not a gambling activity and therefore legal, the ramifications of the judgment were local, not national – and certainly not such that darts would have died “virtually stillborn” had the verdict gone the other way, as past authors have postulated. Page after page, chapter after chapter, Darts in England is an education. 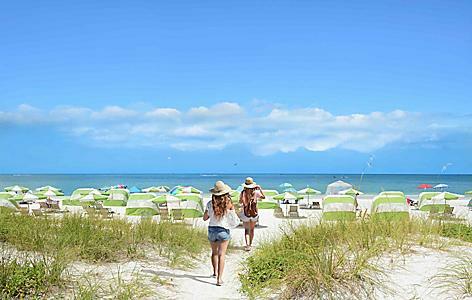 It’s not about technique or strategy or equipment or war stories from the tournament circuit. 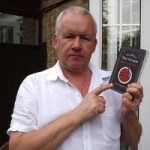 It’s a monumental publication in a league of its own about the very foundation of the game and, as such, is far and away the most important study of the genesis and growth of darts that has been penned since Rupert Croft-Cooke wrote the first-known book about the game three-quarters of a century ago, in 1936. 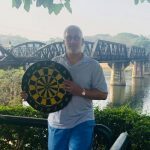 Anyone with any curiosity about all that led to the sport as we know it today would be remiss not to add Chaplin’s Darts in England to their library. It’s the Bible of darts history.